Evaluation of lentil genotypes for resistance to salt stress is very important. Consequently, the aim of this study was to elucidate the effects of salt stress on seedling emergence and early seedling growth of lentil genotypes. 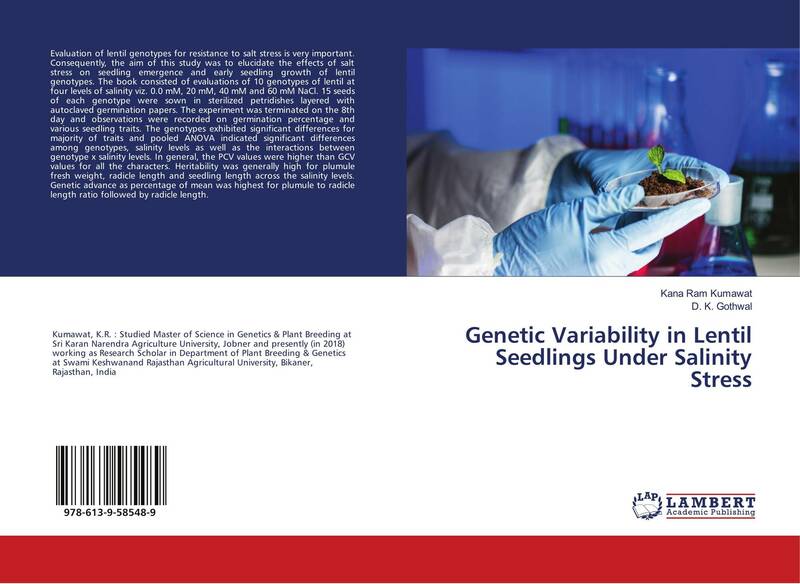 The book consisted of evaluations of 10 genotypes of lentil at four levels of salinity viz. 0.0 mM, 20 mM, 40 mM and 60 mM NaCl. 15 seeds of each genotype were sown in sterilized petridishes layered with autoclaved germination papers. The experiment was terminated on the 8th day and observations were recorded on germination percentage and various seedling traits. 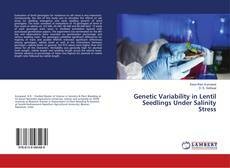 The genotypes exhibited significant differences for majority of traits and pooled ANOVA indicated significant differences among genotypes, salinity levels as well as the interactions between genotype x salinity levels. In general, the PCV values were higher than GCV values for all the characters. Heritability was generally high for plumule fresh weight, radicle length and seedling length across the salinity levels. Genetic advance as percentage of mean was highest for plumule to radicle length ratio followed by radicle length.